This hotel, located in the center of San Francisco, offers an indoor swimming pool and a hot tub. A flat-screen TV is included in all of the luxurious rooms. 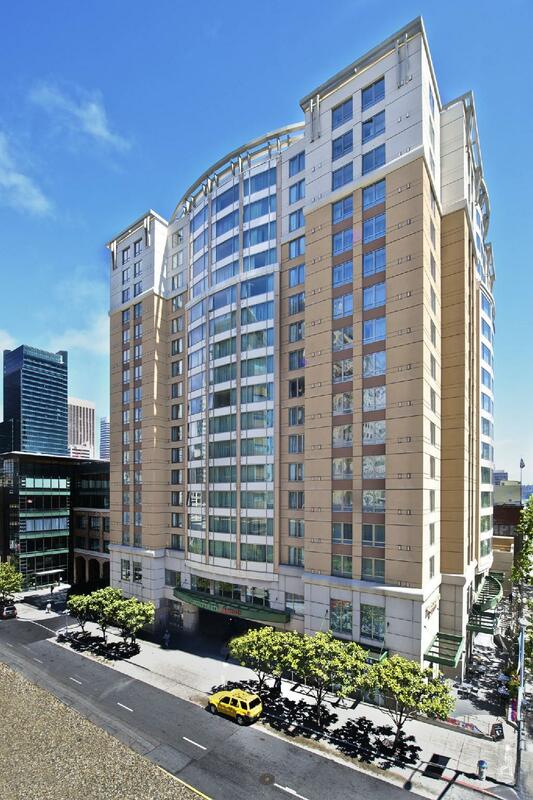 Each room of Courtyard by Marriott San Francisco Downtown offers tea and coffee making facilities. Elegant furnishings are fitted in all rooms. Free Wi-Fi access is available throughout Courtyard San Francisco Downtown. A well-equipped gym is provided for guests that like to keep fit. Refreshing drinks and snacks are provided at the Starbucks on site. AT&T Park and Union Square are less than 1 mile from Courtyard San Francisco. You must show a valid photo ID and credit card upon check-in. Please note that all special requests cannot be guaranteed and are subject to availability upon check-in. Additional charges may apply. Please note for all rates that include breakfast: Breakfast is limited to 2 adults and 2 children under 12 per room. A surcharge applies to breakfast. Please contact hotel for details. Guests are required to show a photo identification and credit card upon check-in. Please note that all Special Requests are subject to availability and additional charges may apply. Nice room but no water in the room, parking per day 70 usd, clean room, spacious room. No breakfast provided. Nice clean bathroom. Nice bed . No kettle to make tea , you have to use coffee brewing machine. False fire alarm twice at 12 am and 5.45 am . At 12 me and my kida was evacuate outside the building turn out is a false alarm.